Brandy is certainly doing a one-two punch when it comes to making a comeback as not only has she made her return to the small screen on the new BET sitcom, Zoe Ever After, this week, but she is making her return to music, and no I'm not talking about her recent stint on Broadway, but an actual fresh n' new slice of sonic pleasure to press play and savor. Super producers Pop & Oak peg Miss Norwood right with "Beggin' & Pleadin'", as they not only place her in a blues-y state of mind with a sample that hints at her Southern roots, but they keep some of the rhythm of Brandy's blues by laying her into a trap of beats and vocals. While it's probably for effect, at times the lyrics kind of collide into each other, making it hard to pick up the chorus and some of the salt-tinged lyrics Brandy zips through. 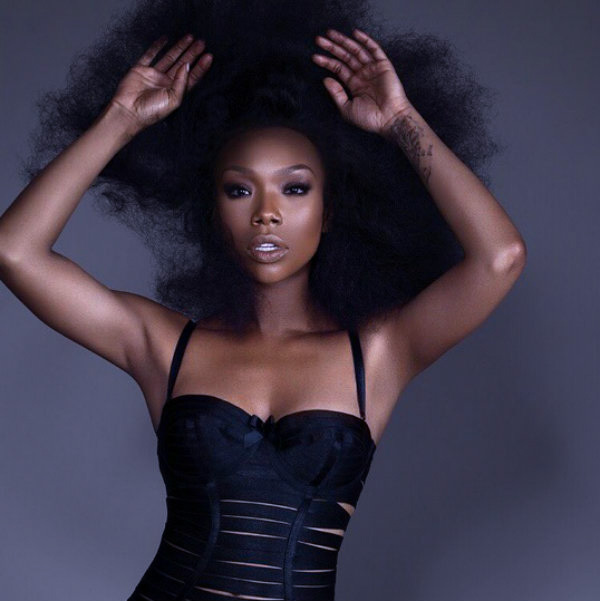 What's better executed is the attention to the variances of Brandy's voice, I mean, she is called the 'Vocal Bible' after all, so all these great Gospel-styled call and response runs are to be expected, as they getcha feelin' that spirit in the dark with every whoop and holler. What is unexpected is what Brandy is 'beggin' and pleadin' about. Considering biting lyrics ("Damn boy, why you make it so hard? / Stop putting your foot on my heart / Know I cussed and I screamed, even took your keys / Got so bad, yeah I stopped wearing my ring"), the fact that she quietly broke off her recent engagement, and her claiming that the song is 'based on a true story' might glean some answers. Oh, drama, drama, drama. Since it's been some years between 2012's much-underrated Two Eleven, Brandy's return is a welcome one, as it is one that is never short on surprises.